Understand why Donald Trump's negotiations prevailed and failed. Learn from internationally recognized negotiation expert Marty Latz as he analyzes over 100 Trump negotiations and guides you through dozens of Trump's strategies, highlighting which to use and avoid. Trump's dealmaking past provides insight as to how he will negotiate with the rest of the world-and what it means for everyone's future. Trump considers himself one of the world's best negotiators. But is he? Learn how he succeeded and failed in his 50 years of negotiating deals. Then evaluate his negotiations as president. Our safety rests on his skills. Donald Trump has provided unprecedented transparency into his business negotiations. His counterparts have also not been shy (including in over 4,000 lawsuits). We know what he did. Trump Tower. Taj Mahal. The Apprentice. President Trump has also now negotiated with Congress and the world. Does this require different strategies? Find out how to use his effective strategies-and avoid his counterproductive ones. That one new tactic you gain may make the difference between walking away a winner and leaving empty-handed. 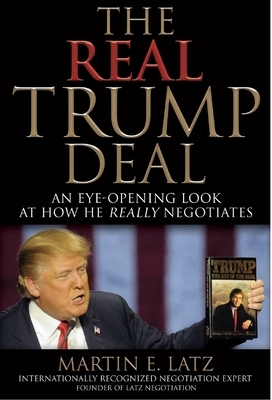 Learn the Reality of Trump's Negotiations through: Over 100 Trump negotiations - plus many more strategies Trump's Top Ten Business Negotiation Strategies, including: oHis win-lose mindset oThreats in Trump's world oTrump's business bullying His counterparts' views Comparisons to masterful negotiations involving: oJames Madison oJohn F. Kennedy oLyndon B. Johnson oRonald Reagan oGeorge H.W. Bush Expert analysis of his negotiations with oMexican President Enrique Pe a Nieto about the border wall oCongress to repeal and replace Obamacare.